✅ 100% ORGANIC Hemp oil drops are finally here. This natural supplement is perfect for use everyday. May help with inflammation, stress, pain management, and more! ✅ Our hemp oil is loaded with Omega 3 & 6 fatty acids — which are good for you! Promotes overall health and wellness when combined with a regular workout routine and diet. ✅ Every bottle contains 1 Fl Oz., or a 30 day supply. Enjoy the benefits of without all the hassle. ✅ Our products are proudly made in the USA, in an FDA approved facility. We know you are going to love it from the day it arrives on your doorstep. We offer every customer a complete 100% money back guarantee. If our formulation doesn’t work for you – just contact us and we’ll refund 100% of the purchase price, no questions asked! Are you suffering from chronic pain or sleep issues? 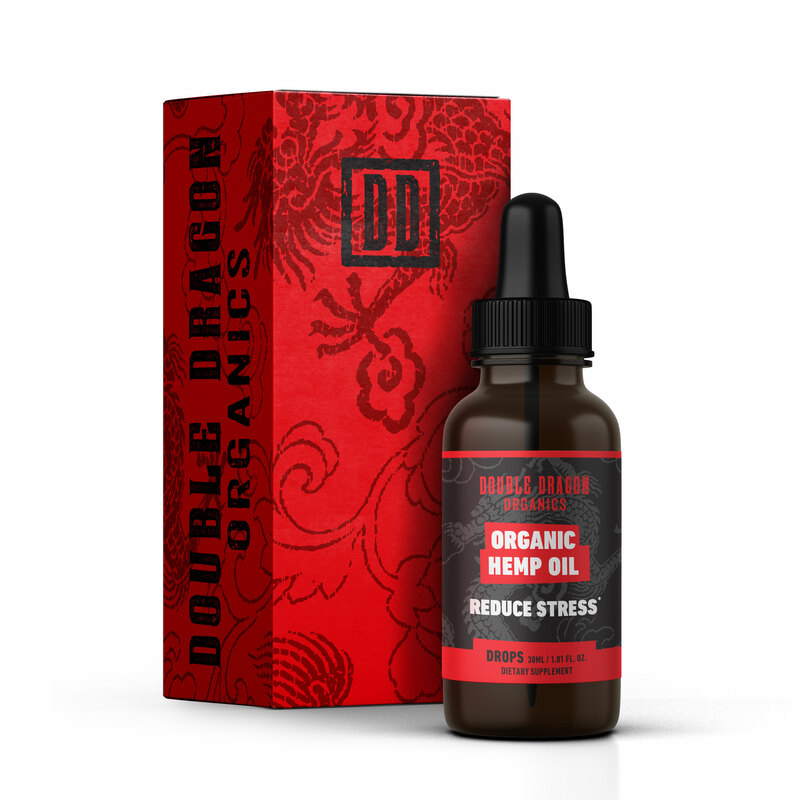 Reduce your pain and suffering from chronic injuries, back pain and inflammation with Double Dragon Organics 350mg Hemp Oil for Pain & Anxiety Relief. Directions: Use 8 drops (2/3 dropper) 1-2 times daily or as recommended by your physician. Are ready to feel your best? Don’t wait a minute longer. Our all natural hemp seed oil drops are made from 100% hemp seeds that have been tested to support pain management, improve sleep and lower stress. Our safe and effective hemp oil is manufactured in FDA registered facility in the USA from research tested hemp fiber that falls under strict GMP standards. Double Dragon Organics provides premium and trusted products. Buy and use with confidence. OUR PROMISE TO YOU- The Double Dragon Organics team is committed to improving lives by creating the highest quality products that actually work. We are so confident in our potent organic full spectrum hemp oil that we offer a 100% MONEY BACK GUARANTEE on your purchase. So go ahead and try it RISK FREE. Ingredients: 100% Pure Hemp Seed Oil. Please note this product does not contain THC or CBD.